Chrome Analyzer is an advanced forensic utility for analyzing data stored in Google Chrome browser. 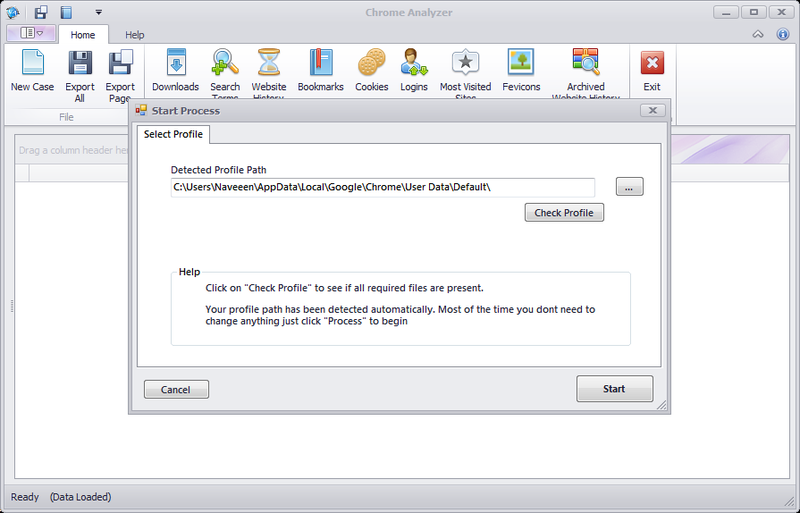 This guide will help you quickly start using Chrome Analyzer. After downloading and installing Chrome Analyzer start the application by clicking on its icon. Select the profile you want to analyze (default profile will be auto selected so in most of the case you don’t need to change anything) click on “start” button. Now all data will be extracted and presented in the view, you can apply filters to columns or sort it. Export data using “Save” button to xls, xlsx and csv formats.